Towing bar Instructions: 1. Ensure the towing eyes on each vehicle is located at approximately the same level. The location of the towing eye can be found in your car`s users manual. 2. 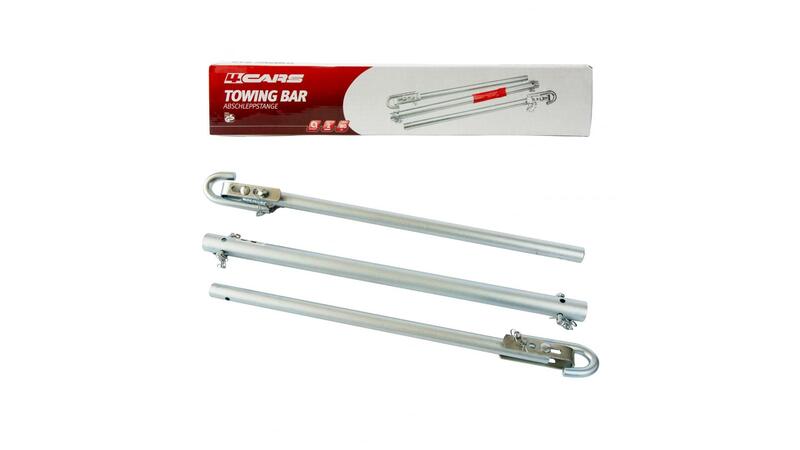 Assemble the three parts of the towing bar and secure it with attached pins and clips. Make sure you assemble the bar with both hooks pointing in the same direction. 3. Open the hook gate, place the hook through the towing eye. 4. The hook gate can now be firmly adjusted against the towing eye, and secured in place using the locking pin and safety clip. This should ensure jolt-free towing.